KrazyChibi. . Wallpaper and background images in the Naruto Chibi's! club tagged: chibi. Do u notice Pein & Gaara has the same face? Lolol so cute!! 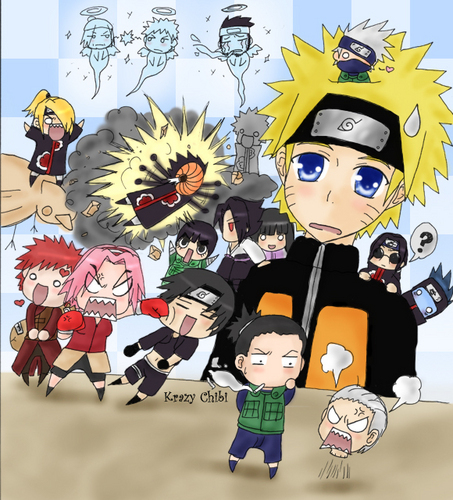 But what is Gaara looking at?